Over 250 Great Rock Songs. This Fake Disk (and disk/book combination) contains the chord progressions to many rock songs. I chose a book published by Warner Brothers to avoid multiple duplication of songs with Norton Music's other rock fake disk/book (published by Hal Leonard). And Norton Music's Fake Disk #4 contains all the chord progressions in The Great Rock Song Book exactly as they appear in the book. Note: The optional book is out of print and no longer available :-( But you may be able to get a used one. Simply click the Amazon.com and then type "Great Rock Fake Book" (complete with the quotation marks) in the search box. If get a match, be sure to get the 1999 revised edition if you want all the songs in the book to match all the songs on the disk. The Fine Print: This disk is GUARANTEED to work with Band-in-a-Box � In the unlikely event the product is defective or gets corrupted during delivery, it will be replaced. � The melody and lyrics to each song are included in the optional Fake BOOKS. � Unfortunately, this book is out of print, but you may be able to get one at Amazon.com or BN.com. 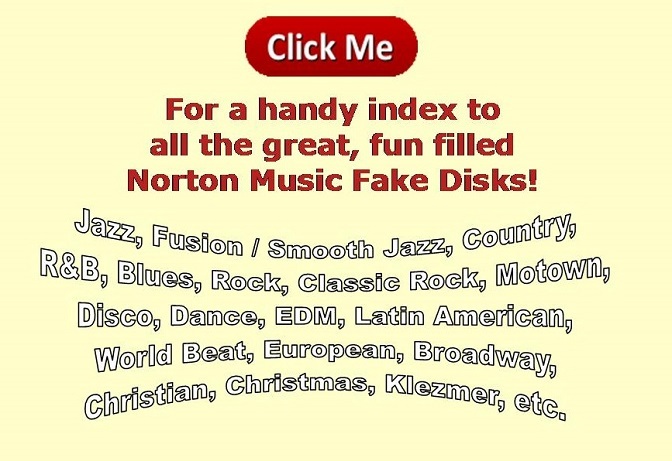 � It is important to note that all Norton Music Fake DISKS contain chord progressions only... There are no copyrighted melodies or lyrics on the Fake DISKS. The song titles are used only to identify a particular chord progression. � The song titles used are not the only songs to share any particular chord progression but conservation of space limits me to listing only one title per chord progression. � The degree of compatibility of the songs with the currently available styles for Band-in-a-Box varies. � There are no user styles in any of the fake disks either by PG Music (the creators of Band-in-a-Box) or by Norton Music. � As is typical in the software industry, all sales are final. Sorry, the book is out of print and no longer available. You can find used ones, but there were a few different editions so there is no guarantee that the songs will match. • Whenever I Call You "Friend"